You’ll be blown away by the exciting atmosphere when you watch home games at the Jack Trice Stadium. But when you feel like a change of tempo, you can go just behind the stadium to wander through the butterfly house at Reiman Gardens. 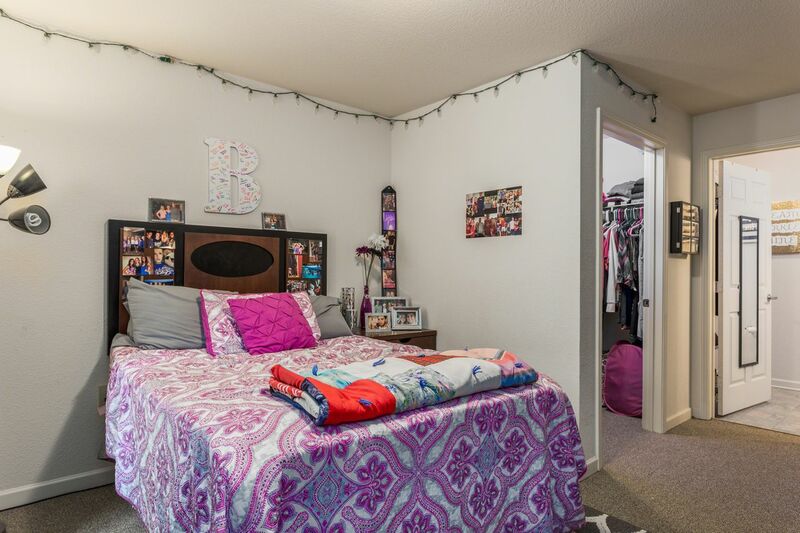 When you live in student housing in Ames, you’ll have no shortage of things to do. Spend evenings watching concerts at Stephens Auditorium, or see up-and-coming bands playing at cafés like Stomping Grounds. On the weekend, get some fresh air by going running on the trail beside Worrell Creek. You’ll be just 10 minutes by bike from Iowa State University and you can walk to games at Jack Trice Stadium. 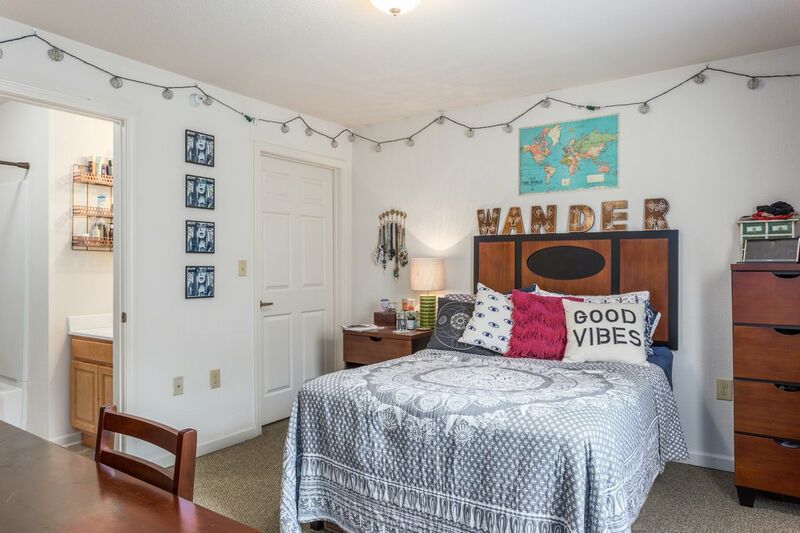 Your new home is also based right on the local bus routes into town, and you can use the CyRide Shuttle bus to get a direct ride to campus when you feel like reading your notes on the way. Come home and pass through the gates at Grove at Ames, and park your car for free in the spacious parking lot. Head to the clubhouse to see all of the amazing amenities for you to use. Chat with the community assistants to find out about the upcoming social events, then head outside to hang out by the pool. If you feel like letting off some steam, join your friends on the basketball or volleyball courts, or hit the fitness center for a solo workout – it’s open 24 hours a day. On a nice night, you can hang out with your friends around the fire pit. 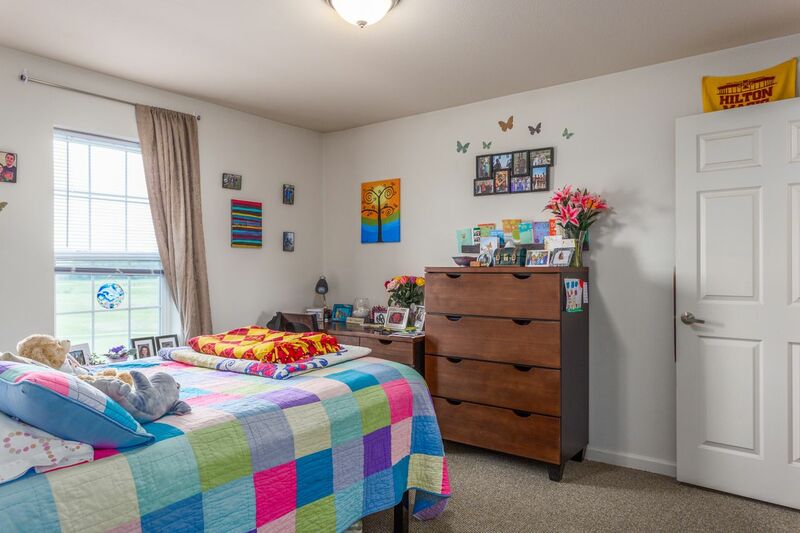 You’ll share a fully furnished apartment when you live at Grove at Ames, but you’ll have plenty of space with your own private bathroom and spacious bedroom. Change into something comfy from your walk-in closet, then set up at your study desk to get a head start on your next assignment. Alternatively, grab a seat in the on site computer lab with free printing, and refuel with unlimited lattes from the coffee bistro. When you’ve worked up an appetite, join your housemates in the fully equipped kitchen to cook and then sit in the dining area to eat. You’ll fly through your chores afterwards thanks to the modern appliances like the dishwasher and the full size washer and dryer. Your rent will include high speed internet, cable, and all utilities, including a $25 credit toward electricity per person every month. Wir haben leider keine Unterkunft gefunden, die deinen Wünschen entspricht.Alle Privatzimmer in Grove at Ames ansehen.